AROUND MIDNIGHT on September 4, 2015, workers from the New Delhi Municipal Council chiseled the name “Aurangzeb” off of a street sign in central Delhi. A few days earlier, the council had decided to rename Aurangzeb Road after A.P.J. Abdul Kalam, India’s president from 2002 to 2007. Kalam thus dethroned “India’s Most Controversial King”—Aurangzeb—the last of the “Great Mughals,” a sovereign infamous for his supposed historical mistreatment of Hindus. According to some, Aurangzeb subjected his Hindu subjects to mass conversion and even genocide during his rule over most of the Indian subcontinent in the 17th century. Although he died some three hundred years ago, this emperor's memory remains contested in contemporary India, particularly on—you guessed it—Twitter. Aurangzeb is held up by some on the Hindu Right as among Indian history’s foremost Muslim fanatics, hell-bent on destroying Hindus and Hinduism. His legacy contrasts with that of Dara Shikoh, Aurangzeb’s brother, and Akbar, his great-grandfather, who are often seen as emblematic of a more syncretic and more distinctly indigenous Indian tradition. Aurangzeb’s bloody war of succession, in which he defeated Dara, has in some circles become one of the major “what ifs” of Indian history: what if Dara the Tolerant had become emperor instead of Aurangzeb the Bigot? Some have even traced the origins of Partition to the conflict between Aurangzeb and his brother. For instance, Shahid Nadeem, a Pakistani playwright, has argued: “[the s]eeds of Partition were sown when Aurangzeb triumphed over Dara Shikoh.” Others more broadly condemn all Mughals. The national spokesperson of the BJP, one of India’s two leading political parties, recently compared Akbar to Hitler while suggesting on Twitter that Delhi’s Akbar Road should be changed to Maharana Pratap Road. Above all, what is often being contested in these debates is the scope of the Indian nation. For example, the Hindu nationalist firebrand Yogi Adityanath, Chief Minister of Uttar Pradesh, recently claimed that the Taj Mahal was not a part of Indian culture. Adityanath’s claim reflects a particular narrative of history that sees India as a Hindu Nation. The Mughals, as Muslim conquerors and invaders of Central Asian origin, are therefore seen as separate from and antithetical to Indian culture and history. However, Truschke is also embedded in the territory of “WhatsApp History” that she seeks to combat. As she points out in the introduction to the book, she began writing Aurangzeb when over Twitter someone asked her to write an “accessible biography” of one of the Mughal emperors. Truschke, who maintains an active Twitter presence, often responds to her critics through the social networking website. The book’s format is geared towards this viral medium, leaving out footnotes and complex details, sometimes at the expense of the author’s claims to historical rigor. As Twitter quickly becomes one of the primary channels for political discourse both in India and the United States, Truschke’s engagement with the platform highlights some of the merits and demerits of its viability as a legitimate source of political and historical information. Truschke’s book, walking a thin line between “Twitter History” and “Serious History,” is also caught between presentist debates over Aurangzeb and scholarship which “takes him on his own terms.” Aurangzeb is a valuable work of scholarship on the Mughal emperor, but Truschke attempts to do everything at once in only 120 pages. In some respects, her effort falls flat. There are essentially two major streams of historiography that Truschke seeks to critique: that of “Aurangzeb the Bigot” and that of “Aurangzeb the Pious.” The latter is perhaps best exemplified by the Pakistani scholar I.H. 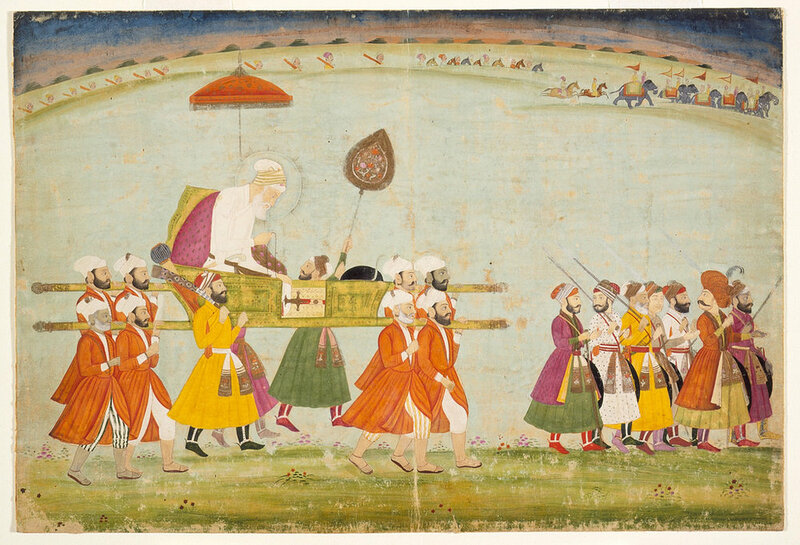 Qureshi, who portrayed Aurangzeb’s rule as a welcome return to Islamic orthodoxy after Akbar’s heretical syncretism. Truschke briefly mentions this strain of thought, but she does not seriously engage with it. The other branch of Mughal historiography, that of “Aurangzeb the Bigot,” is subscribed to by a number of historians and public figures. One is the historian Jadunath Sarkar, who has argued that the emperor’s ambitions included mass conversion of Hindus and the establishment of an Islamic church-state in India. Another is P.N. Oak, a popular historian known for making radical (and, it must be said, outlandish) arguments about Mughal history, including that the Taj Mahal was actually an appropriated Hindu temple. Much of the nationalist historical revisionism that occurs on Twitter and WhatsApp is driven by this “Oakist” strain of historiography, which is indeed biased, often based in Islamophobia, and lacks historical rigor. Even Koenraad Elst, a Belgian scholar notable for his support of Hindu nationalist narratives of history, concedes that Oak’s works are more or less fictional. Truschke’s mistake is to conflate these two branches of the “Aurangzeb the Bigot” narrative. Although she doesn’t mention Oak, she treats Sarkar’s work as if it were Oakist, dismissing it almost in toto as overly communal and lacking in rigor. She is adamant to take Aurangzeb on his own terms, but does not extend the same courtesy to Sarkar, who deserves criticism but is certainly as much of a “serious historian” as Truschke herself. She is quick to condemn Sarkar’s work, and does so throughout the book, but doesn’t engage with the substance of his arguments. Instead she opts for blanket criticism of Sarkar’s perceived communal biases. Ironically, Truschke treats historians of Aurangzeb the same way many of those historians have treated Aurangzeb himself—by glossing over their substance, ascribing them with totalizing characteristics. Biography has its limitations. Truschke endeavors to say more about Aurangzeb’s rule than “whether he is palatable according to twenty-first-century sensibilities,” but her analysis remains singularly focused on Aurangzeb the man. She has little to say about other members of Aurangzeb’s court, the workings of his administration, or broader Mughal-era Indian society. In her narrow focus on Aurangzeb’s political motivations, Truschke traps herself in the same sort of narrative that she sets out to combat—one that primarily looks at Aurangzeb’s person and not at his state or society. Truschke has stated several times both in the book and in the press that her work goes beyond the presentist debate of whether Aurangzeb was a “good guy” or a “bad guy,” but she only somewhat delivers on this promise. “Merely countering the misinformation and dubious claims promulgated by Aurangzeb’s detractors would be an empty exercise,” she writes, “because it would fail to fulfill a core guideline of history: understanding historical figures on their own terms.” But quite a bit of Aurangzeb is dedicated to countering what Truschke perceives as dubious arguments regarding Aurangzeb’s character. Some of her contributions in this respect are necessary and effective. If we consider the Hindu temples that Aurangzeb razed, we should also consider those that he patronized. We must consider the constraints he placed on Holi and Diwali festivities alongside parallel constraints he placed on Eid and Nauruz (the Persian New Year) festivities. We should indeed challenge the narrative of the conflict between the Maratha ruler Shivaji and Aurangzeb as one between Hinduism and Islam (as Truschke points out, there were Hindus and Muslims on both sides). Truschke also rightly challenges the claims that Aurangzeb led a mass conversion movement and banned music. The book provides an excellent rebuttal to these questionable stories. But Truschke spends such a significant portion of the book on these arguments that she does relatively little to go beyond a debate on Aurangzeb’s “secularism,” despite her intentions to do so. In Truschke’s narrative, Aurangzeb is primarily concerned with a vision of justice rooted in a somewhat nebulous depiction of Islamic theology, a vision sometimes limited by political ambition. Truschke’s portrayal of Aurangzeb’s concern with justice occasionally veers dangerously towards hagiography, and at times she strains to rationalize Aurangzeb’s decisions. This is fodder for her critics, some of whom argue that she has merely sought out any evidence she can find to prove Aurangzeb’s virtue. While I don’t agree with that generalization, it is true that she often goes out of her way to explain Aurangzeb’s actions in political terms. If so-called “communal” historiography views Aurangzeb’s rule as singularly about religion, never about politics, then Truschke views Aurangzeb primarily through the lens of politics and discounts the role of religion. For instance, writing on Aurangzeb’s re-institution of the jizya (the tax on non-Muslims), Truschke hypothesizes that Aurangzeb revived the tax in order to forge closer ties with the Muslim scholarly elite, but gives no evidence for that claim. She spends a lot of time looking at evidence that could speak to Aurangzeb’s perception of Hindus, including the employment of Hindus in the administration and military alliances with Hindus. Her analysis, however, seems slanted towards evidence that demonstrates a “secular” treatment of Hindus, despite her claim that she’s above such presentist debates. For instance, in her chapter on Aurangzeb as an “overseer of Hindu religious communities,” Truschke argues that “Aurangzeb’s default policy was to ensure the well-being of Hindu religious institutions and their leaders.” Despite contradicting her own claim that “Aurangzeb pursued no overarching agenda vis-à-vis Hindus within his state,” she makes significant jumps in logic to argue this point. As she discusses Aurangzeb’s 1672 order which recalled all endowed land from Hindus and reserved it for Muslims, Truschke spends more time explaining that the policy was only loosely implemented than considering the circumstances behind the order itself. Although she concedes that Aurangzeb’s protection of Hindu temples had “limits,” she holds steadfast to an analytical lens that privileges realpolitik over all else. in the world of the digital university, tools are circulating that can consolidate and condense so much writing into discrete visualisations, which allow historians to imitate economists in sharing one-screen visual versions of their arguments: ‘shock and awe visualisations’, as their critics call them. Already Twitter and blogs demonstrate how historians are investigating alternative routes in publishing, ones that are easy to pass around, good at going viral, and powerfully infectious of discourse. Similarly, Truschke’s Aurangzeb seems as though it was designed to go viral—the idea of the book began with a Twitter message, in response to a debate that often plays out over social media, and Truschke continues to respond to her critics on her Twitter page. The book’s brevity points to this disposition as well—it is, above all, intended to be easily digestible. A notable structural element of Truschke’s book is its lack of footnotes. She claims that “it is already difficult to get at Aurangzeb’s life and ruling strategies, and footnotes would have posed yet another obstacle.” This seems to align with her goal of creating an “accessible biography” of Aurangzeb. But in the work’s brevity, lack of detail, and omission of footnotes, Truschke creates two major flaws in her work. At one level, Truschke virtually erases the wealth of existing scholarship on Aurangzeb by Indian and Pakistani historians, scholarship that counters the aforementioned narratives of piety and bigotry. Many of her arguments have already been established in Indian academia for several decades by scholars like Satish Chandra and M. Athar Ali. This undermines her claim to a “fresh narrative.” Truschke mentions Ali and Chandra (and others like S.M. Azizuddin Husain, Jnan Chandra, Irfan Habib, and Harbans Mukhia) in her bibliographical essay, but her brief mention of their work in what is probably the least-read portion of her book masks the degree to which her work is based on their arguments. As early as 1957, Jnan Chandra noted, “It is a pity that [historians] have always assessed [Aurangzeb] with the bias of a partisan as an antagonist to Hindus and an iconoclast, who took pleasure in destroying their temples.” The central thesis of Truschke’s book, that Aurangzeb’s rule must be understood as enmeshed in political considerations, was also previously argued by Satish Chandra in a 1986 Indian History Congress paper. To some degree, it is true that Truschke’s book makes these arguments about Aurangzeb—many of which are virtually buried in the annals of the Indian History Congress or the Pakistan Historical Society—more accessible. Her book, as Mukhia has written, is indeed a “valuable aid” for arriving at the “complex truth” of Aurangzeb’s life. But in her extremely brief and incomplete recognition of the scholarship upon which she bases her work, Truschke overstates her own contribution. Positioning herself as the heroine swooping in to finally “set the record straight,” she claims throughout the book that Aurangzeb has been “neglected” by historians and that our knowledge about him is “remarkably thin.” But this is not the case—the record (at least as she accounts for it) has largely already been set straight by Truschke’s Indian and Pakistani predecessors, albeit not quite as publicly. Truschke has been subject to accusations of coloniality by some on the Hindu Right, accompanied in some cases by death threats and misogyny. These attacks are disingenuous—while Truschke (mildly) skimps on giving credit where it is due, her book does more to undermine colonial narratives of Indian history than endorse them. The idea of Aurangzeb as a Muslim fanatic, as Truschke points out, is in the first place rooted in a British colonial policy of “divide and rule” which pitted Muslim against Hindu. Truschke’s second major misstep—omitting footnotes—undermines her repeated claims to historical rigor. The historiography of Aurangzeb, as Truschke points out, is rooted in the close reading of historical texts, especially in Persian but also Hindavi and Sanskrit. Truschke emphasizes the methodological rigor of professional historians, who must consult arcane texts, often in multiple manuscripts and translations, but we’re essentially left to trust her methodology on her word alone. It might be said, as some reviews of the book have posited, that Truschke provides a welcome counterbalance to existing academic scholarship which is dry, heavily foot-noted, and difficult to get through. Truschke’s book is indeed an easy read—a good read, even. And Truschke’s intent with the book was to create a readable biography of Aurangzeb. But brevity and the discarding of footnotes, even in the interest of readability, also function to contradict the ostensible seriousness of her work. That said, Aurangzeb is on the whole a good book, and for the most part does a good job of presenting a concise narrative of Aurangzeb’s life which doesn’t adopt his piety or perceived fundamentalism as its primary analytical framework. The book’s readability and Twitter-worthiness make it valuable in countering a narrative of history that, at its core, seeks to exclude Indian Muslims from a Hindu Nation. I only wish Truschke had presented her book as such, without claiming to fill a supposed vacuum of historiography. On the surface, there is something to be said for the democratizing potential of Truschke and other scholars who engage with Twitter. One of the defining features of modern academia is the paywall: purchasing an academic journal subscription, or even a single article, is prohibitively expensive for almost everyone. On the other hand, universities purchase institutional subscriptions to academic journals and grant their affiliates free access, making academic materials instantly accessible to university students and professors. Paywalls create a bifurcated system of knowledge, denying access to those who are not affiliated with major institutions (or don’t have access to copious sums of money). Engaging with a platform like Twitter, to some extent, works to break down these barriers, making knowledge accessible to anyone with internet access. Twitter’s 280-character limit also forces scholarly tweeters to condense their arguments into easily digestible chunks. This disruption of scholarly jargon is a good thing. “Academic writing is bad,” Harvard psychologist Steven Pinker argued in 2014, “and academics should feel bad for writing it.” A year earlier Stephen Walt wrote that “academics…tend to confuse incomprehensibility with profundity.” Being able to condense an historical argument into a few sentences is a valuable skill for academics. One of the most valuable teaching tools I’ve encountered is a professor’s usage of “Twitter summaries” in their lecture slides. Condensing arguments into concise and easily understandable statements makes academic knowledge more accessible to everyone. And it’s often just better writing. One doesn’t need to look far to see Twitter’s limitations in these respects, though. Democratizing knowledge also means exposing information to the worst impulses of democracy. Recent scholarship has demonstrated that Twitter Trends are capable of being manipulated by malicious users and by Twitter itself. Condensing arguments into Tweet-length tidbits also often entails leaving out supporting evidence, a key criterion of “serious” scholarship. This is reflected in Truschke’s Aurangzeb, where digestibility is given preference over detailed evidence. In some ways, Audrey Truschke’s Aurangzeb is a work of translation—the author aims to create a readable biography of Aurangzeb which is still based on rigorous scholarship, and in doing so bridge the gap between “popular history” and “serious history.” She takes arguments about Aurangzeb that have long been established in the academy and presents them in what she perceives as an appropriate form for the public, leaving out footnotes, details, and complex arguments. But I wonder if Truschke has too little faith in her audience. It is likely not difficult prose or footnotes that have barred the public from academic arguments about Aurangzeb, but rather a lack of accessibility and distribution. I find it more likely that academic scholarship on Aurangzeb remains relatively unread because publishers keep it behind expensive paywalls, making it physically inaccessible to laypersons. Truschke is well-intentioned in her intervention, but fails to recognize this basic problem in academic scholarship that only radical action could overcome. It is worth pointing out that the book as of yet has only been published in English. While India is home to the world’s second-largest English-speaking population, only 10% of Indians speak English. A Hindi version is in the works, but as of now the book’s audience has been a small elite. The real test of the book will come over the next months and years, when vernacular editions are released. Whether Truschke can appeal to a broad-based Indian audience remains an open question. For Truschke’s American audience, the figure of Aurangzeb might not have the same political valence, but Truschke raises many questions that are relevant for all of us: how do we evaluate historical figures in the present? To what extent does history writing distort the past, and how can we prevent this? How does nationalism shape the way we talk about history? Truschke’s book is valuable for its engagement with these questions, which are crucial for this generation. BJP refers to the Bharatiya Janata Party (Indian People’s Party), as of 2017 the ruling party of India and the party of Prime Minister Narendra Modi. Santosh Singh, “Yogi Adityanath says gifting Taj replica not part of Indian culture,” Indian Express, 17 June 2017. Jnan Chandra, “Aurangzib And Hindu Temples,” Journal of the Pakistan Historical Society 5:4 (1957). Satish Chandra, “Some Considerations on the Religious Policy of Aurangzeb During the Later Part of his Reign,” Proceedings of the Indian History Congress, vol. 47 (1986): 369-381. Harbans Mukhia, “A Portrait of Aurangzeb more Complex than Hindutva’s Political Project Will Admit,” The Wire, 3 April 2017. Pinker and Walt, quoted in Noah Berlatsky, “Why Most Academics Will Always Be Bad Writers,” The Chronicle of Higher Education, 11 July 2016. Yubao Zhang et al., “Twitter Trends Manipulation: A First Look Inside the Security of Twitter Trending,” IEEE Transactions on Information Forensics and Security 12:1 (2017). Fred Moten and Stefano Harney, The Undercommons: Fugitive Planning and Black Study (New York City, Minor Compositions, 2013). Tadween Publishing, Facebook Page (@TadweenPublishing). Accessed 7 January 2018.